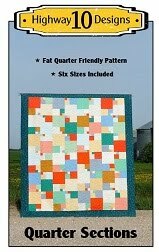 This is Sonja’s Farmers Wife 1930’s Sampler quilt and it contains One Hundred and Eleven 6” sampler blocks! 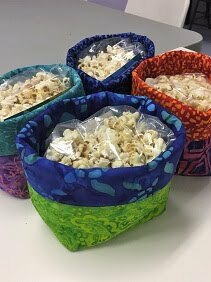 Sonja said she worked on it, off and on, for one and a half years and used Kansas Troubles fabrics from her stash. Some blocks were more intricate than others and took a whole day to piece while others were assembled in less than an hour. She will be hanging this quilt in her homes two story foyer. I’m sure it will look stunning there! Sonja asked for traditional custom quilting and at that each block be quilted with a unique pattern. So I used different combinations of CC’s, loops, swirls, feathers and straight lines in the blocks. Some are completely stitched in the ditch, some have a bit and some have none just depending on the designs in each block. 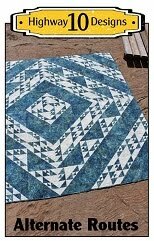 I quilted a feather motif in the setting triangles and a flowing feather in the outer border. I used three colours of So Fine thread on top and a beige Bottom Line on the back. Batting is Quilters Dream Blend. This quilt measures 84” x 104” so I a bit to big for my family to hold up for me in a farmers field…yes I asked and they said I was crazy! LOL! So thankful for my large deck! We have been busy around here with a new garage build…well actually we hired someone so more like busy watching it go up! So excited to have a warm place to store my car next winter and for my husband to have a work area for all this tools. It’s a stunner! Look at all the work! 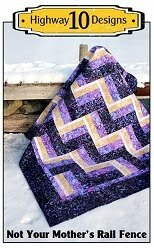 She did a great job sticking to it, and she must be so pleased with the beautiful quilting! This will be totally magnificent hanging high, and the quilting, what work for each block.The garage, a real necessity for any vehicle or man.!!! 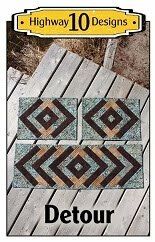 The piecing is gorgeous, and your quilting is incredible! The quilt is absolutely beautiful! 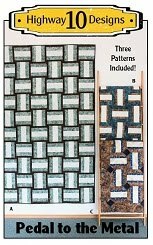 Reminded me that I need to get my Civil War quilt blocks together, from way back when! ---"Love"
Great job on the quilt! The man shed will be a happy addition for him. That quilt is fabulous and you did a beautiful job with it.